I confess. I’m a control freak. To give my attitude the best spin, I could say it’s because I’m “disciplined” and like to map out my time. But that’s not the reality. Truth is, I like to be in control because it makes me feel powerful and secure. The heart issue is that I’m looking for security in something other than God. So, it’s idolatry, not discipline. If you like to be in control of your circumstances, then you know what interruptions are like. They’re frustrating. They get in the way of your plan. They need to be avoided or discarded or dealt with as soon as possible so you can get back to being in control, right? Those of us who follow Jesus shouldn’t act this way when interrupted. We shouldn’t see interruptions as obstacles to our plan but opportunities to embrace God’s plan. I can’t help but marvel at how Jesus handled interruptions. Take the story told in Matthew 14, when Jesus finds out about John the Baptist’s beheading. Jesus is saddened by the news. He wants to be alone. So what does He do? 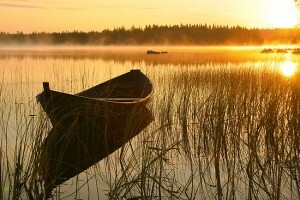 He gets in the boat and starts on a journey to get some solace and relief. Imagine Jesus as He nears the shore and catches a glimpse of thousands of people waiting to meet Him. Most of us would be frustrated at the sight. We’d probably decide it best to send away the crowds. Or maybe we’d stay in the boat and go somewhere else. But that’s not Jesus’ response. He’s not frustrated. Matthew says he felt compassion for the people. Yep. While I’m busy figuring out a way I can keep control, Jesus is thinking of how He can show compassion. He doesn’t throw a pity party for Himself. Instead, He puts others first. What would stir up frustration in us stirs up compassion in Him! Many of us think interruptions get in the way of “real life.” That’s why we don’t like them. They remind us we’re not in control. Traffic is heavier than usual, and you miss an appointment. Unforeseen circumstances cause you to miss a deadline. Your kid comes down with the flu at the very time you’re supposed to be going on vacation. Interruptions are not obstacles to our plan; they are opportunities for us to embrace God’s plan. So, the next time real life comes crashing into your idea that you are “in control,” look for the opportunity to show Christ’s compassion. Instead of being frustrated at the presence of other people, look for the opportunity to reflect the compassion of the Savior.